Ready for the snow? 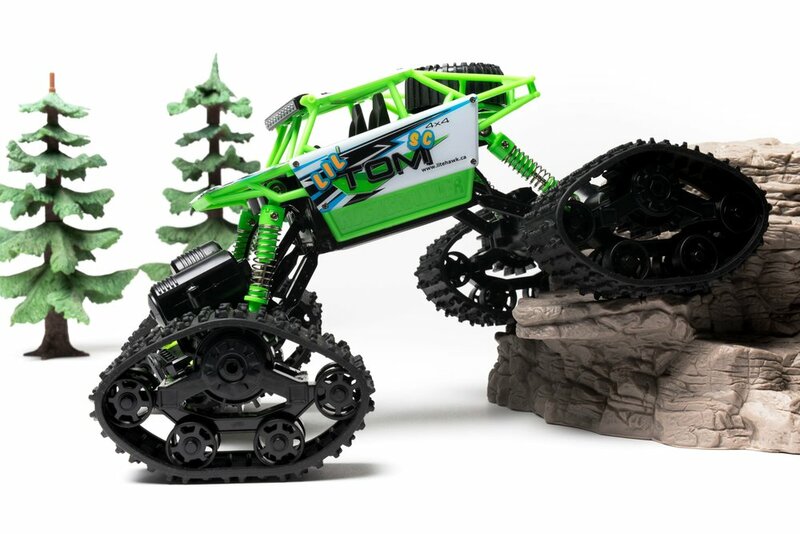 Meet the LiteHawk LIL’ TOM Snow Challenge — Tear through the snow with SC’s all new custom designed tracked wheels! LiteHawk LIL’ TOM SC is ready for adventure. 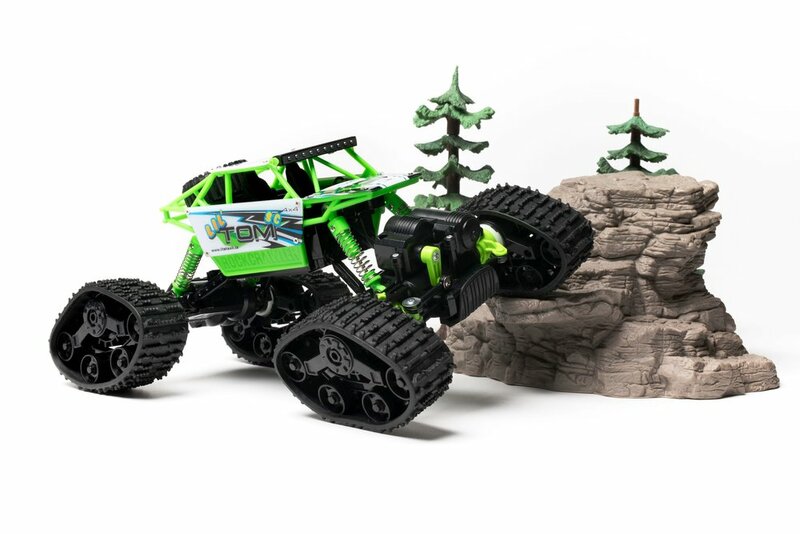 Designed as a Rock Crawler, high Travel Suspension can easily navigate through rough terrain. 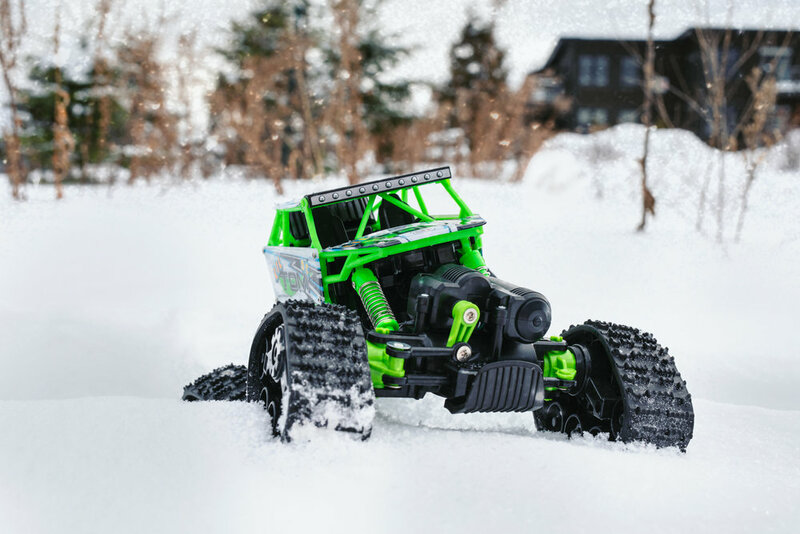 It’s twin motor setup delivers robust power to the front and rear axles - all controlled by the included 2.4 Ghz Controller. 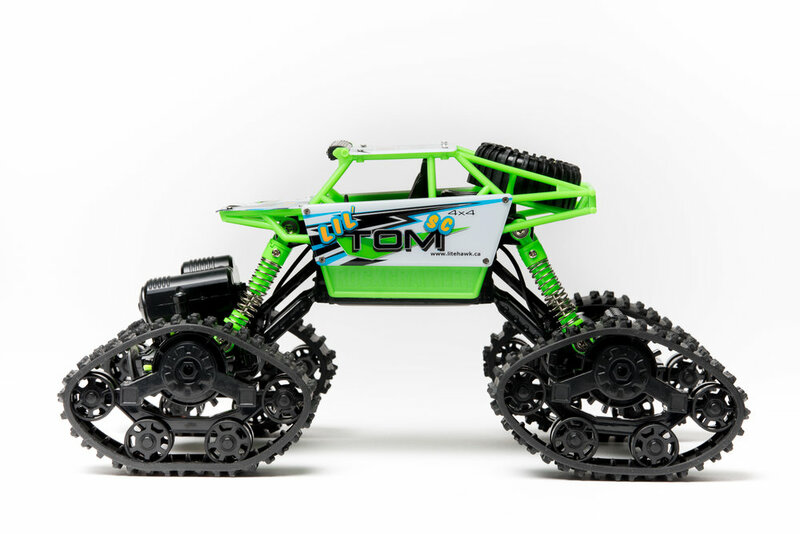 LIL’ TOM sports a heavy duty roll cage that protects components in case of a roll over! 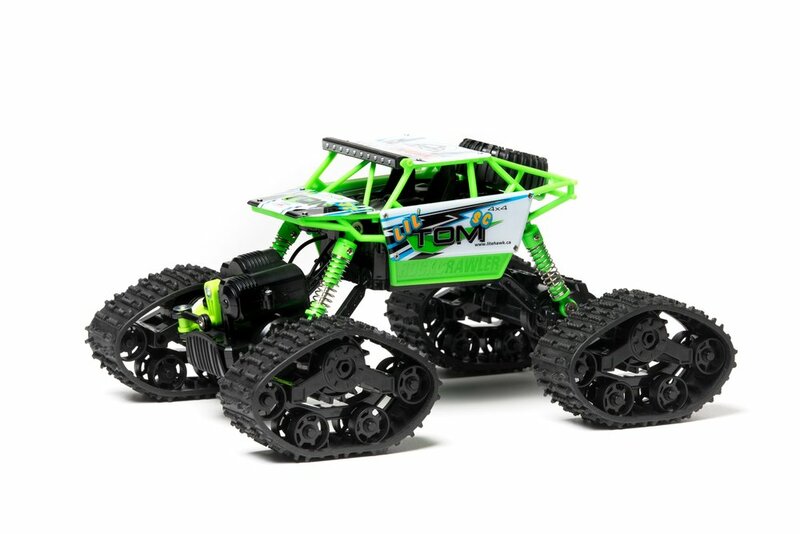 Easily take your next adventure Off-Road with confidence - LIL’ TOM SC can handle any challenge. Raining outside? LIL’ TOM is very happy zooming across floors in your home - it will be even happier if you make a small obstacle course for it to play on! All-New ALPINE GREEN color scheme! Watch the LIL’ TOM SC in Action! The custom snow tracks made for the LIL TOM allow the vehicle to drive right over snow, ice, and other frozen terrain! 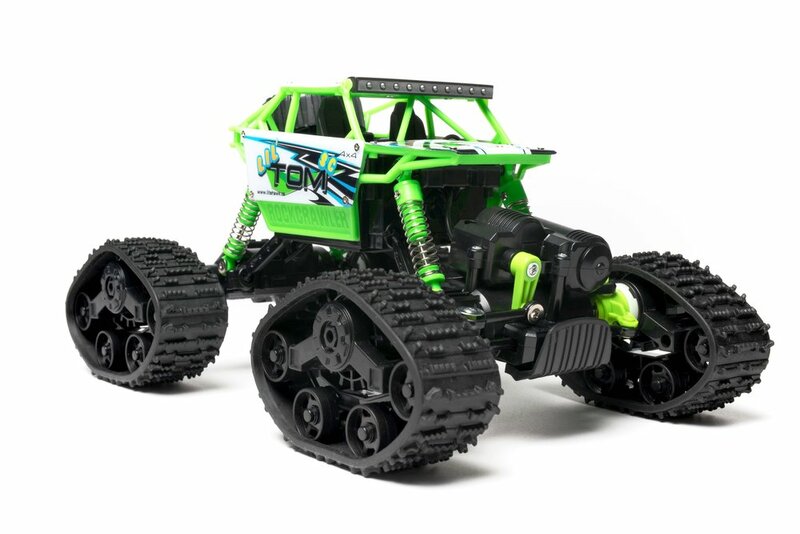 Functioning tracked wheel design lets LIL’ TOM SC cover advanced terrain such as snow and ice with ease! Even mud, gravel, and grass can be conquered. Highly durable and easy to wash, the tracks can be easily removed and cleaned after a day of off-road driving! 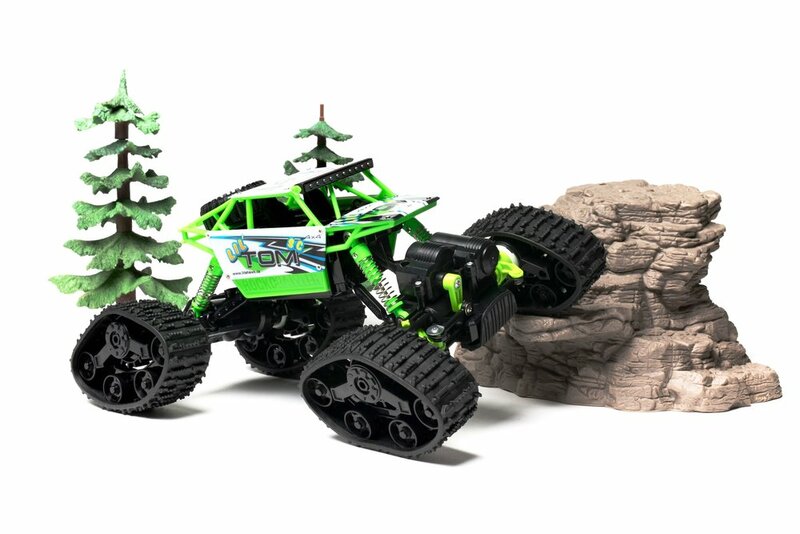 Front and Rear motors provide consistent power to the wheels. 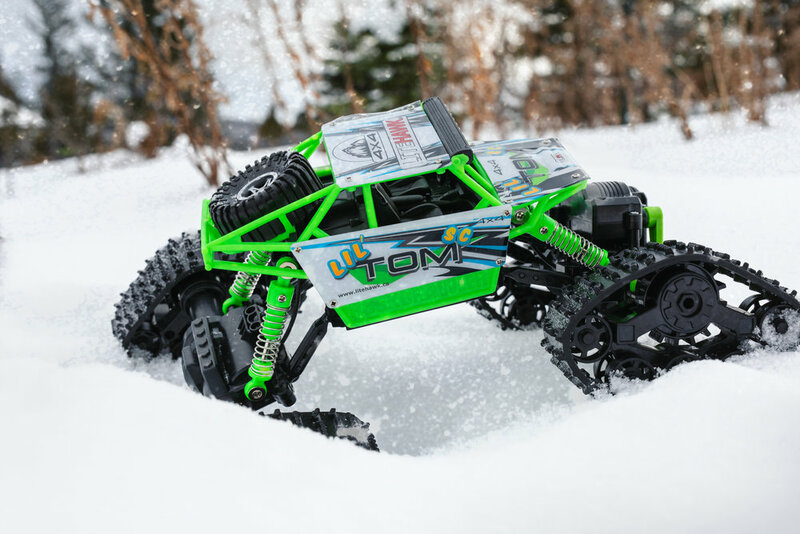 LIL’ TOM powers the treads with a dedicated motor for each differential — get reliable power and torque to get through snow and mud! Have more fun driving the LIL TOM SC between battery recharges. Included USB charger lets you charge on the go! 20 minute run time means 20 minutes of off-road fun!